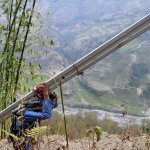 While Nepal is no longer in the news, here Monsoon season has begun and our partner communities, in the wake of the recent earthquakes, are preparing for an intense and prolonged precipitation. 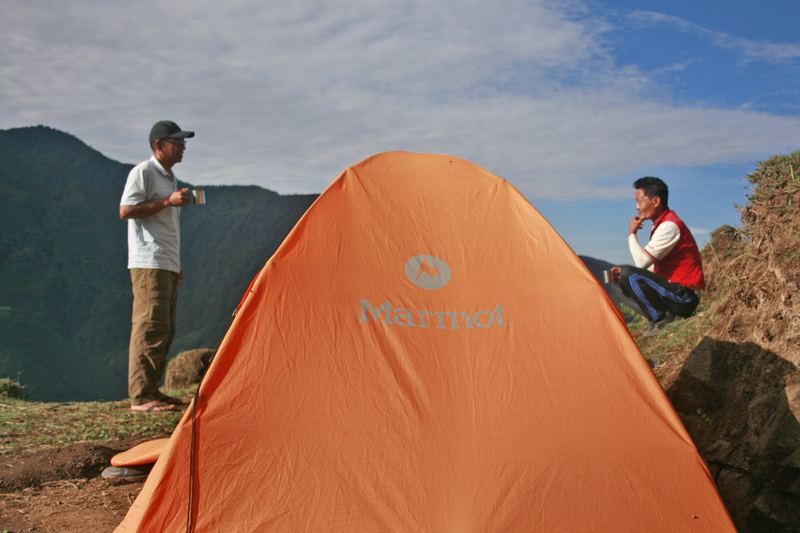 Amazingly, roughly 80% of Nepal’s annual precipitation falls from June to September. We, accordingly, are going full speed with responding to the most urgent need of the community right now- creating safe shelter for students to study in during monsoon. And there comes our buzz word of the season TLC or Temporary Learning Centers. 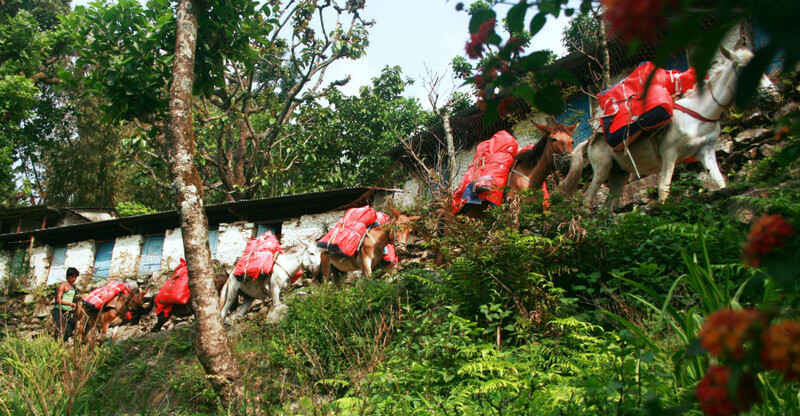 Our initial relief effort after the Earthquakes focused on getting 3300 tarps into our working areas of Khotang and Solukhumbu, including two neighboring areas where we had not worked before. Until last week, our team members were scattered around every corner of our working area, sitting down with community members to listen to their pain, and to ask about their plans for recovering from the terrible earthquakes. One serious issue is rebuilding homes. 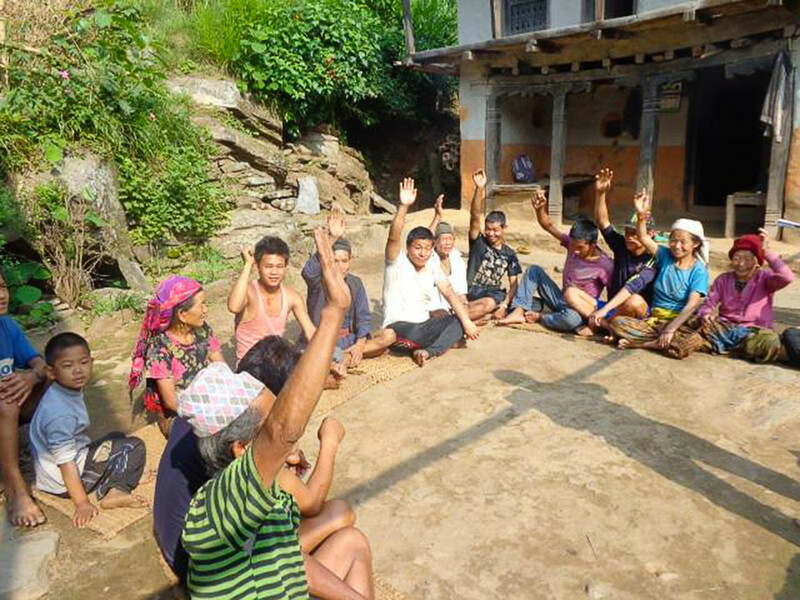 Many villagers have initiated the process without any external support, with neighbors helping each other out. But most people expressed that if the Government or other organizations could teach them Earthquake safe building technology, they wouldn’t have to build weak homes like before. They want to build safe homes, but just don’t know how. 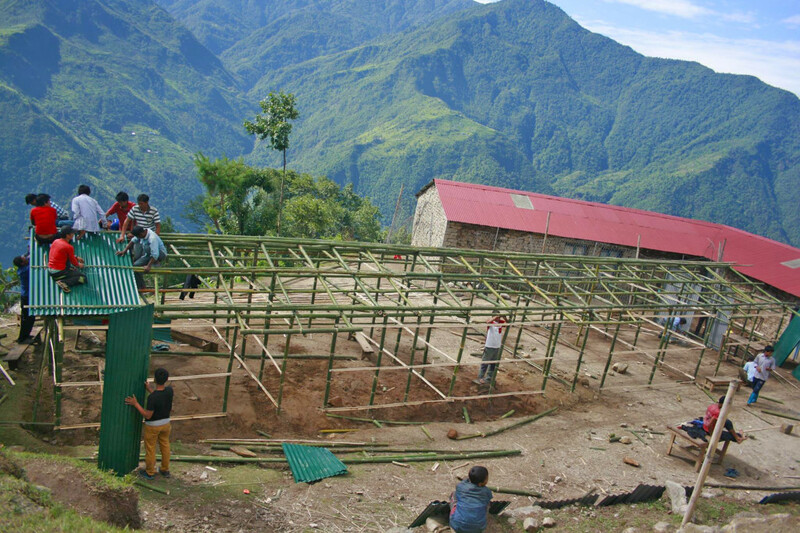 Since we have been building earthquake resistant schools since 2012, it has helped many local masons learn the technology. We hope that further expanding our school construction to almost 20 schools will help many more village masons learn this important, life saving technology. But for now, we have to establish temporary centers for all these damaged schools as the rain will make any other kind of construction activity impossible. We and our local partner NGOs have been busy purchasing and transporting bulk quantities of roofing tin to help in the construction of Temporary Learning Centers (TLCs). 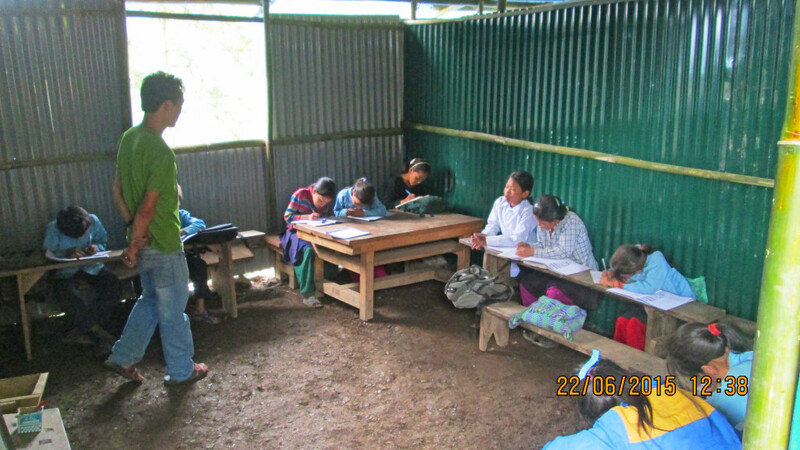 Unfortunately, over 30 schools in our working areas were significantly damaged or destroyed in the April and May earthquakes. We feel one of the most important things dZi Foundation can do in the short term is to ensure children get back in school as quickly and safely as possible. 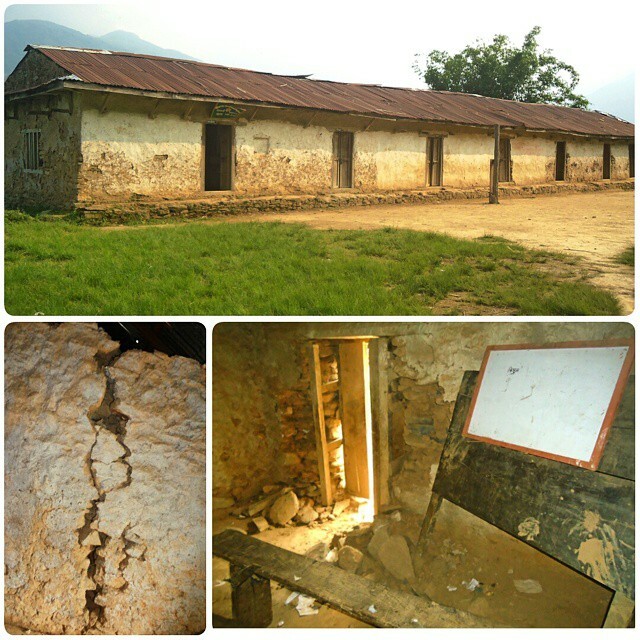 Here is a photo of just one out of many such damaged schools which need urgent attention. 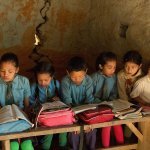 The Shree Chandra School in Sungdel, Khotang looks like an average rural Nepali school: old and dilapidated, but usable. Sadly, this school has suffered considerable damage from the two powerful quakes, although this is not visible straightaway. The quakes caused major cracks in all the inside walls, while bits of wall and ceiling continue to fall down. Our field team including Civil Technician Rajkumar Rai has been walking from one village to the next assessing damage in schools, and supervising the construction of TLCs. Our Technician Rajkumar(L) shares an early morning tea with a young community member. The tent is his home. The first TLC was finished in Lidhunga Primary School of Sotang on June 14, where over two dozen participants from our different working areas came to learn the technique and design from Rajkumar. Now, these participants have gone back to their villages and started the process of construction. Rajkumar will travel to each of these places to supervise and monitor the work. With TLCs up and children back in school safe and dry, the next step for community members will be to knock down the old school building and clear the lot. 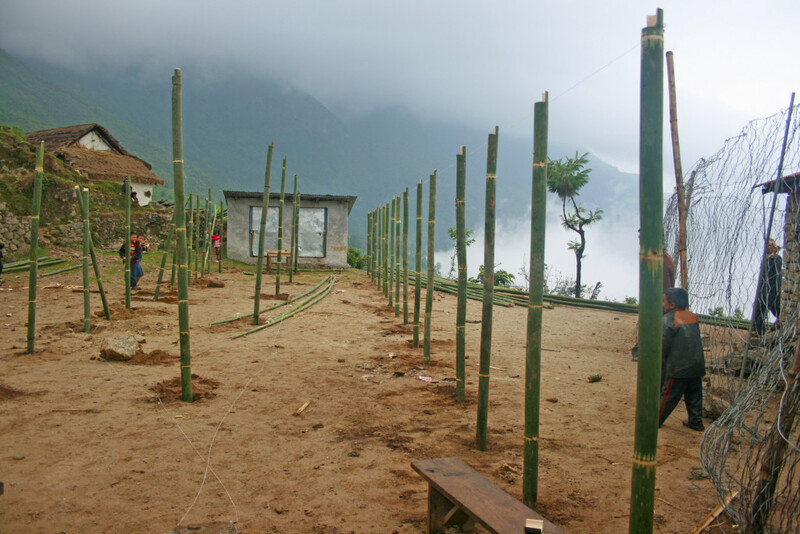 As soon as the Monsoon season ends, we will begin rebuilding many schools using earthquake resistant technology, which will help teach villagers how to rebuild their homes similarly. 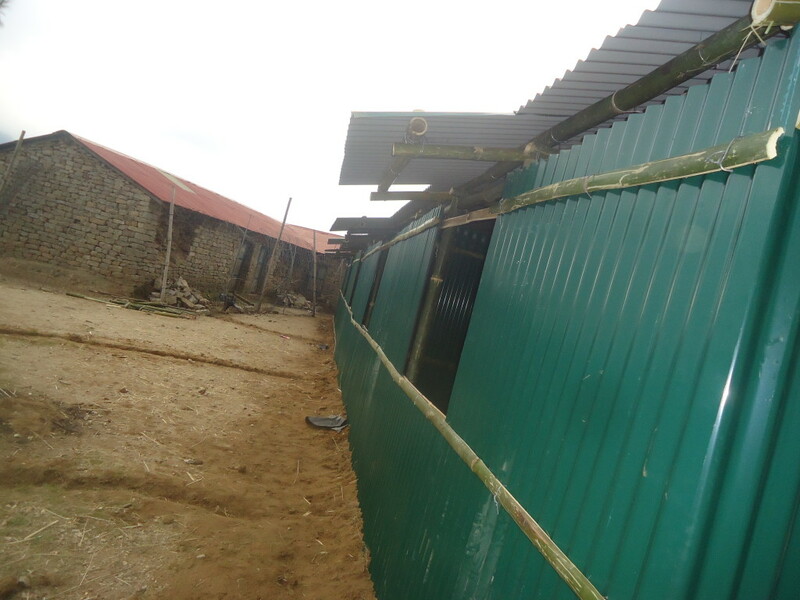 As of today (June 19), community members have finished TLCs for two more damaged schools in Sotang. We now have 3 down, and only 34 more to go! Here are some more photos of the process involved in setting up a TLC. Then follows bamboo frames for roof and walls. Then finally, roofing tins all over the bamboo frame except in doors and windows. 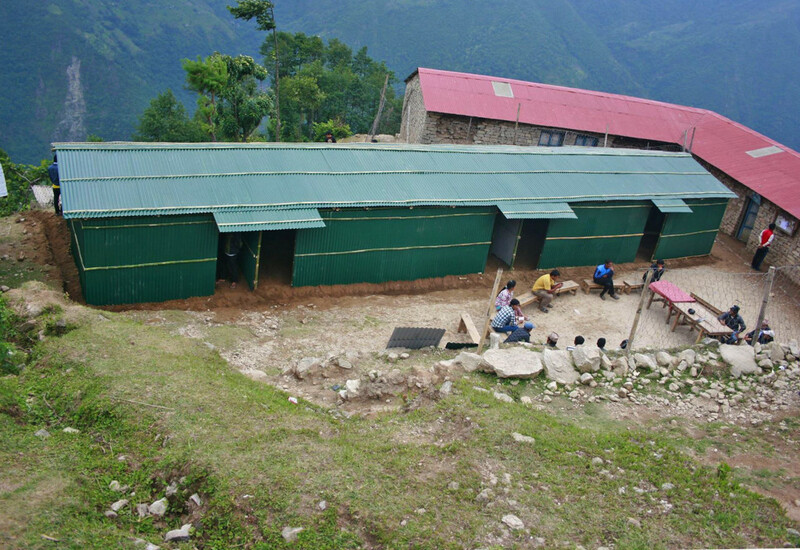 Classes run as usual inside a TLC in Solukhumbu. Previous Help us rebuild 28 schools!